Len Goodman Will Not Return To Dancing With The Stars! It’s the end of an era for Dancing With The Stars as long-time judge and driving force Len Goodman‘s departure is confirmed. Len, a judge since season one, initially announced his planned departure from the show last December when he expressed that the back and forth travel to film DWTS placed too much of a burden on his family and his other career commitments. “I just need a bit of time off to get on with a normal life,” he said at the time. Many anticipated Len would change his mind and be back for the upcoming season. Instead it’s official that after 10 years on the show, Len has hung up his ABC dancing shoes and waltzed away! 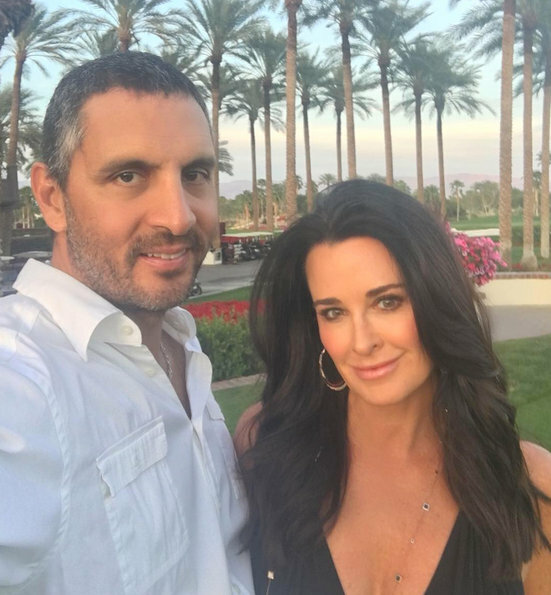 This week’s reality star photo roundup includes former Real Housewives of Beverly Hills star Joyce Giraud, former Real Housewives of Miami stars Joanna Krupa and Lea Black and many more. Joyce Giraud strikes a pose for photographers as she leaves Il Pastaio restaurant in Beverly Hills. RHOBH newbie Lisa Rinna got her fitness on at the local gym. Former RHOM star Lea Black signed copies of her new book and her husband Roy came along to show his support of her newest venture. Kourtney Kardashian celebrated her birthday in Vegas while Kim Kardashian showed off two new tragic wardrobe choices out and about in NYC. Maksim Chmerkovskiy sure likes to keep us guessing. The dancing pro returned to Dancing With the Stars after taking off a couple of seasons off, only to win the coveted mirror ball trophy, and then hinting that he may not be returning to the ABC mega-hit. But that was not the only surprise on this season’s finale. Head Judge, Len Goodman also seemed to hint that he would not be returning to the show, to the shock and surprise of his fellow judges and viewers at home. That is a whole lot of hinting for one hour of reality TV. Not to mention those hints could turn the show upside down! So now that we are heading towards the new season premiere, will Maks and Len both be back? Or is Maks aiming to take over the judges table?